As you can see, we look a little different, but don’t be alarmed: You Are Remarkable has been doing things the same way since 2008 and it was time for an overhaul. For long time readers, you’ll find that everything will remain the same, it might just appear a little differently. We still believe that every human being is a remarkable being and our website will continue to be there for you when you need us most. For our new readers, we wanted to make our message clear and known. It might not be obvious what we do here, so if you ever feel lost, please visit our about page so that you can read all about our mission. Please also visit the revolution page, to learn more about the feel good revolution and why we want as many people to take part in it. We would love if each and every one of our readers could join the feel good revolution, so don’t be shy and learn what we do! We have also completely redone our website in hopes that we can start a new chapter. Six years is a long time to stick to the same ol’ ways, so we’ve cleaned up our pages to make them all nice and pretty for you to enjoy. You can now find all of our interviews in one easy to find place, as well as the love letters we admire. We’ve added a friends page to share with you the people we visit often and we’re always looking for new friends, so please let us know if you would like to be featured! We will be adding merchandise very shortly, but for now, you can purchase the You Are Remarkable books. In the coming months our content will feature new contributors, new videos, new stories, and much more! Things will not be dull, we promise you that! We look forward to a new chapter and we hope you’ll enjoy it right along side with us! 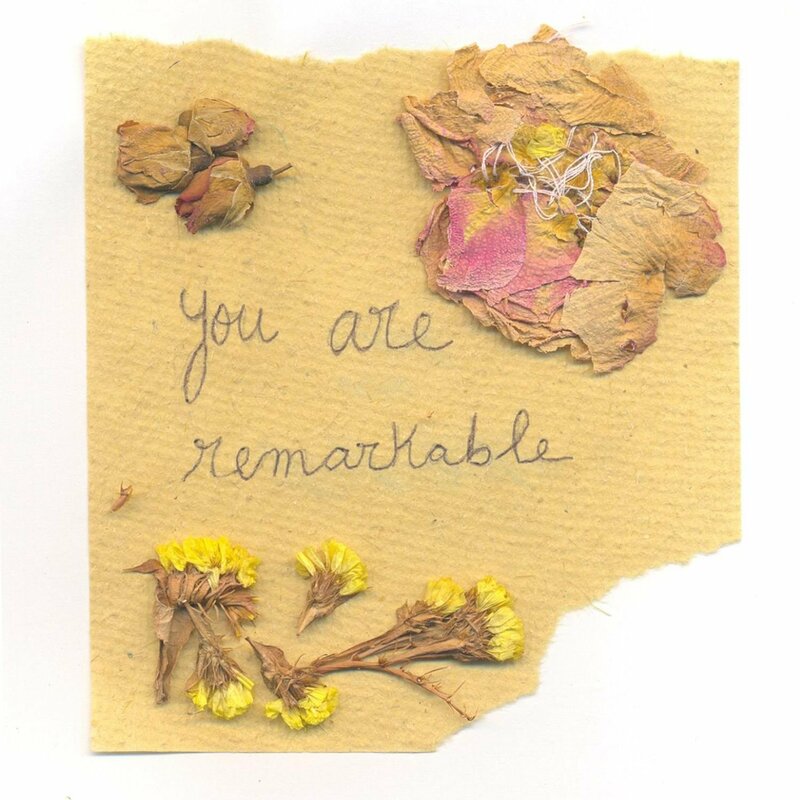 We love you and remember: you are all remarkable!